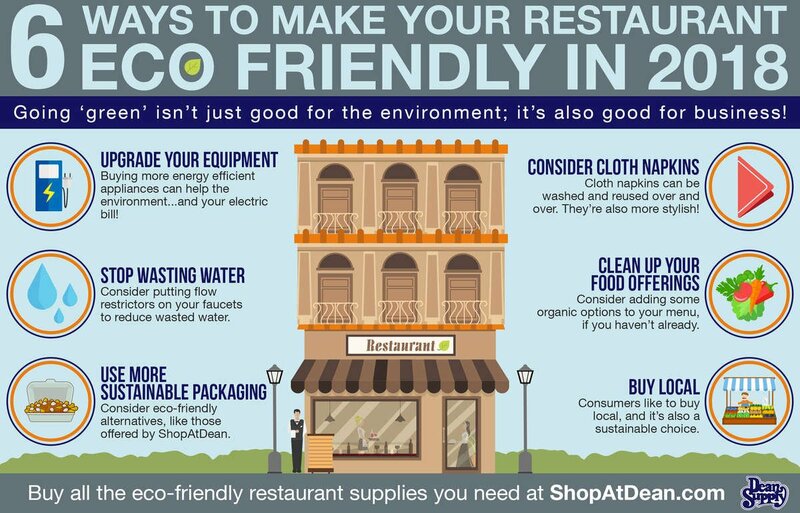 Dean Supply is here to help you adopt more eco-friendly ideas for your restaurant. From compostable takeout containers, eco-friendly cutlery to green cleaners, you can stock up on the items you need to make a positive impact on the environment (and your wallet! ).